Today we are announcing one of the most important features of Cloud 66 Stacks when it comes to security: Stack Firewalls. 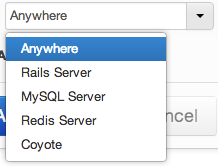 All servers deployed and managed by Cloud 66 are configured with an iptable level firewall. 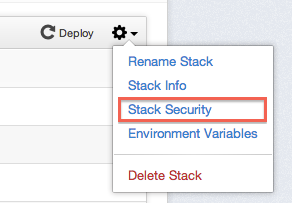 With the release of this feature, you can configure the stack firewall with real ease and full control. 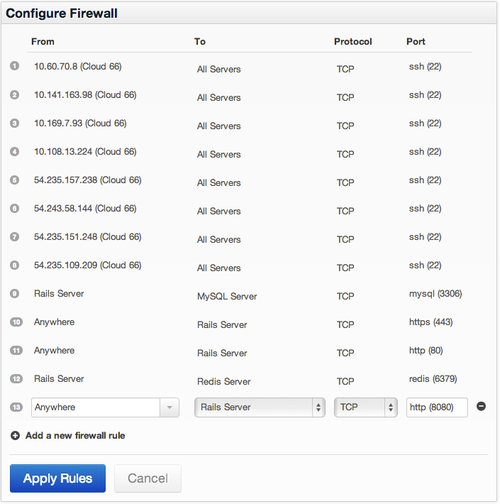 With Stack Firewalls you canconfigure and apply firewall rules per server or server group. Read more about Cloud 66 Stack Firewalls and Securityand as always, your feedback and new ideas are welcome.